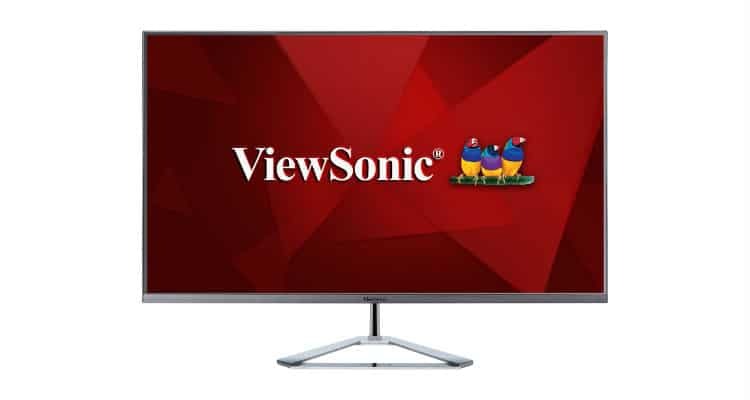 ViewSonic Corp introduces theVX3276-2K-mhd, a 32″ WQHD IPS Monitor with a stylish ultra-slim frameless design. Users can now enjoy a truly immersive visual entertainment experience with the VX3276-2K-mhd. With this product, ViewSonic delivers a visually appealing design combined with efficiency and performance. The product features include a sizeable 32” frameless bezel, minimalist design, SuperClear IPS panel technology, flexible connectivity, low energy consumption and WQHD (2560 x 1440) resolution. The VX3276-2K-mhd monitor has an architecturally inspired design aesthetic combined with modern form factors such as an ultra-slim profile, modern frameless bezel, and unique triangle stand. Consumers can enjoy vivid, rich colour and consistent brightness with SuperClear IPS panel technology and WQHD (2560 x 1440) resolution. Guaranteeing detailed image quality no matter the vantage point.By utilizing 10-bit colour, VX3276-2K-mhd is able to produce a colour palette of over one billion colours, resulting in richer, more vivid colour reproduction, smoother gradients, and a more natural transition between hues.Also, with dual integrated the monitor stereo speakers give a powerful sound quality. Moreover, users can use the view Mode feature that includes optimized “Game,” “Movie,” “Web,” “Text,” “Mono”, and “Mac” presets. Each preset offers specialized enhancements to deliver optimal viewing experience for different applications. Additionally, the monitor features Flicker-Free technology and a Blue Light Filter help to eliminate eye strain.